The Toyota Prius Plug-in has never sold well in the UK. While the standard hybrid proved to be a phenomenal success among alternatively fuelled vehicles, the first-gen plug-in variant seemed a step too far for many buyers. This second-gen Prius Plug-in is looking to improve on the offering, giving an increased, 39-mile electric range and a host of updates to its technology and styling. Call it a coincidence, but £3200 was hastily slashed off the original price tag following the first reviews of the PHEV after driving it abroad, in what seemed an acknowledgment of a major flaw in the Prius Plug-in’s make-up. Even after this reduction and the £2500 government grant, prices start from £29,195 for the four-seat hatchback. That's still steep, especially when more and more fully electric vehicles with increasingly usable ranges are filtering through to a more mainstream price bracket. And then there's the £6k cheaper entry-level standard Prius hybrid itself. However, thanks to a low CO2 output of just 22g/km, the Prius Plug-in still has plenty of appeal for company car buyers from a financial perspective. As a plug-in hybrid, the Prius Plug-in needs to be both a relaxing EV city runabout yet capable and comfortable outside it too, and it performs well in both departments. In the city, it offers a typically relaxing EV experience, with responsive acceleration and gentle motor-buzzing mixed with some road roar. Extra noise and vibration insulation has been added to the car to improve refinement, but there is still some work to do before it can be described as a class leader. The EV enjoyment doesn’t last long, because the 8.8kWh lithium ion battery is only realistically capable of delivering 25 miles from a full charge. Likewise, although 283mpg is claimed, you can expect a fuel economy figure closer to the high 60s, which isn't much better than what the regular hybrid Prius can achieve. 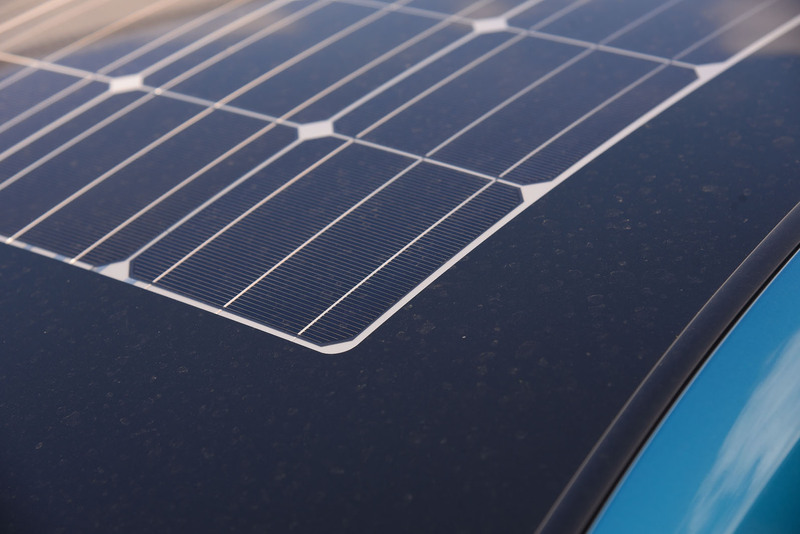 Our test car's optional £1500 solar roof package, added to Business Edition Plus trim, is said to be able to add up to three miles a day to the battery’s range. But while that sounds like a great idea, the cruel reality of dreary UK weather will mean it'll struggle to make that impact. On longer runs, the Prius Plug-in behaves much like the standard Prius: fairly comfortable, not particularly quick and generally unremarkable. The transition of power from EV mode to the 1.8-litre petrol engine is seamless, but the engine tends to rev away to its redline under hard acceleration, which is grating - although it does settle down at a cruise. Work has been done to improve the ride, with new double wishbone rear suspension and a lower centre of gravity, the latter of which is noticeable in corners; body roll is well controlled and the handling generally competent, if uninspiring, on small 15in wheels. However, the body can shudder over the worst bumps, and it tends to float and wallow over crests. 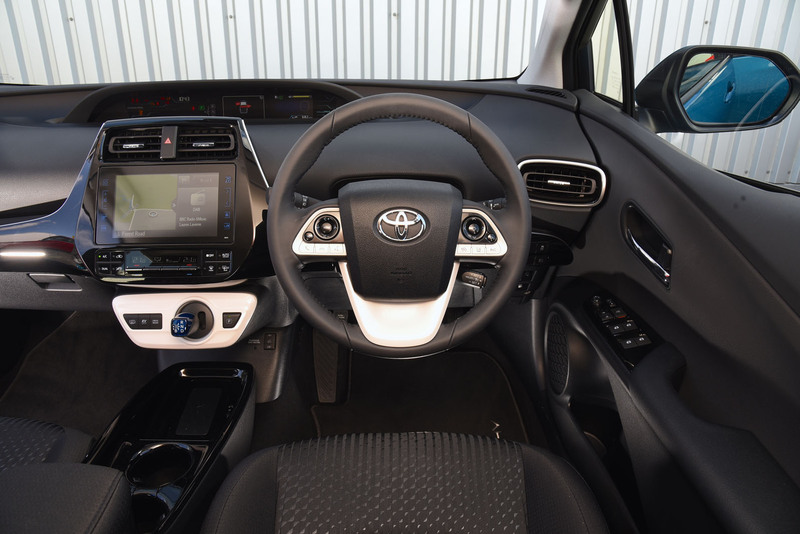 Inside, a bigger battery comes at the expense of less space than the hybrid, with only two rear seats and considerably less boot space. Otherwise, it’s a familiar layout, with a 4.2in touchscreen infotainment system that is muddled in its layout but packed with features. Entry-level £29,195 Business Edition Plus includes touchscreen sat-nav, Bluetooth and a DAB radio, automatic headlights and a head-up display. The top model, the £31,395 Excel, adds automatic wipers, self-parking, front and rear parking sensors, leather upholstery and an upgraded stereo. 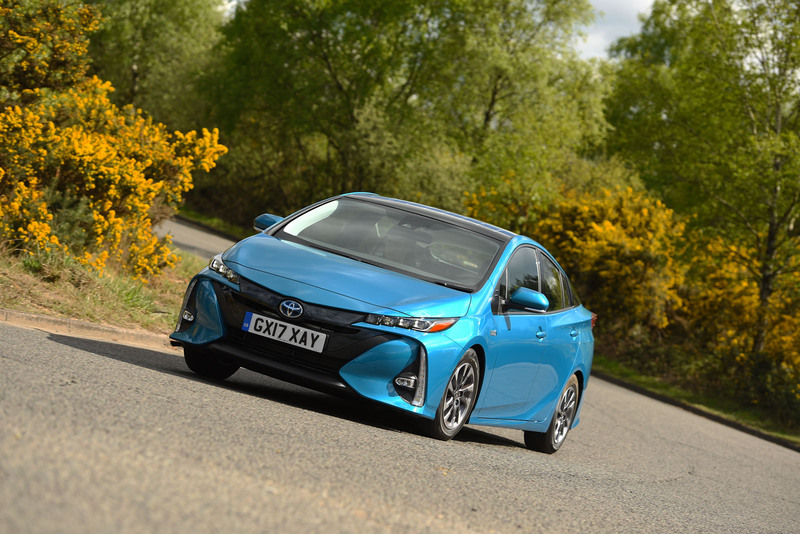 It's likely that Prius Plug-in sales will account for little more than 10% of total Prius sales in the UK, and even with these improvements, the second-gen Plug-in remains a niche choice. If you don't mind the quirky styling and can make use of the electric range, the Prius Plug-in is worth considering, but even with fuel economy gains it will take a very long time to recoup the premium you’ve forked out over the hybrid. If you're an Uber driver who doesn't regularly have two hours to spare to charge up the battery, you're definitely better off with the standard hybrid. Ultimately, while there is a lot of tech to praise in the Prius Plug-in, it doesn’t match the driving dynamics, nor the practicality, that a Volkswagen Golf GTE offers, while the deeply impressive BMW 330e lies in the same tax bracket. One of the ugliest cars ever to be produced. It's so ugly it's actually offensive. What Toyota is thinking of, only they know - though I fail to understand why 'Western' importers aren't giving them styling feedback. I was talking to a taxi driver yesterday, who was admiring my i3, and even he said that he can't bring himself to buying a Prius for his busy business, as it's so ugly. I was surprised at this, but can understand it. I only hope that sales are so poor, it gets withdrawn as soon as possible. Something has happened to Japanese design that needs explaining. Apparently the Japanese are pursuing a national strategy of defining their cars as the beacon of ugliness as a counterweight to the aesthetics of beauty pursued by the rest of the world's manufacturers. Just as you appreciate warm sunshine after experiencing freezing cold, svelte and beautiful designs can be more readily appreciated when set off against the hideous and offensively ugly. The japanese designers are actually doing the world a good turn. Yes the new Prius is hideous,but it cannot be mistaken for anything else which was perhaps the aim of this car. I have never seen the benefits of a Prius even for a taxi. This plug in is another pointless exercise. I don't see how Toyota Hybrids will last in the future when it seems fully electric cars will be the future. Toyota has had but missed the opportunity to make the first fully electric mass produced non premium car for the masses but it's missed the boat, with this car. In Europe,they will only sell in tiny numbers as it doesn't make any sense and if it really did 283 MPG I'd buy one myself as ugly as it maybe. Toyota have the ability to do so much better than this. After an expensive EGR failure on one of our diesel VWs at a low mileage, I'm starting to think maybe it's not so clever to have an engine type that needs dpfs, EGRs and adblue to make it clean . I'm just a normal guy with a normal budget but all these parts appear to have very ltd lifespans, check out honest john . The likes of the prius just don't give any trouble . It's a real shame they won't ditch the cvt because kia, bmw and VW have proven it can be done . Impressive feat Toyota, to make the new car uglier than the old. If this is the future, give me the past. Interior designed by my cat apparently. It is indeed an ugly car, but what's underneath is the worst of it. Nothing that needs to be plugged in to the electric mains is worthy of being called a car. Give it a really good petrol engine and the ugliness would matter only half as much. Electric cars are going nowhere.